Alice is the oldest person to have ever sought out my services as a psychic. She came to see me late last year, at age 98, driven to my house by her grand-daughter Donna. After she was settled, and her family had gone off for a drive to give her some privacy, Alice gravely informed me that she needed some spiritual advice before she died. Could I work with someone who had already lived their life and was right at the end of their time here? It is wonderful to work with the elderly, and anyone drawing close to the end of their time here on earth. Their lives stretch out richly before them, and the connection to the spiritual world is always strong and immediate. Immediately I got a name, ‘Agnes’, and sensed that she was one of Alice’s guides. It was the most powerful and immediate connection, as if Agnes was right here beside us. When I opened my eyes and looked up at Alice, so that we could begin our session, her soft grey eyes held mine. There was a bright curiosity there. I explained how I start my session, with the prayer and the connection, and that I then opened myself up to any first impressions. I told her about Agnes, and how strong her presence was. Then we sat for over an hour, as I shared information about Alice’s aura, and why she had chosen to come to this life. We discussed love and family, and I was able to give her clarity about some of the incidents and relationships that she was still trying to come to terms with after nearly a century of life. Finally, as the session was coming to an end, Alice became quite teary, and told me she had a terrible confession. I couldn’t imagine what it could be – Alice has led a good life, filled with caring for others, kindness and love. I didn’t say anything, just reached across so I could hold her hand. We moved back to safer ground, and I answered the last of her questions, and then her grand-daughter arrived back at my house and Alice and I said goodbye. Alice’s grand-daughter knocked on my door last night, to let me know that the old lady had died peacefully in her sleep on the weekend. Donna had sat with her grandmother for the last few days of her life, and Alice had been conscious and lucid til the last. Alice was insistent that Donna contact me after her death. Donna had a large envelope with her, and she took out the contents to show me. In it were photocopies of some old documents. One was the death certificate of Alice’s mother. It clearly showed that she had given birth to three sons and then after a gap of six years, two twin girls, Alice and Agnes. My skin prickled with recognition. Agnes… The presence I had felt so strongly in the room with us that day. There was also a death certificate for Agnes, who had died at age four from scarlet fever. 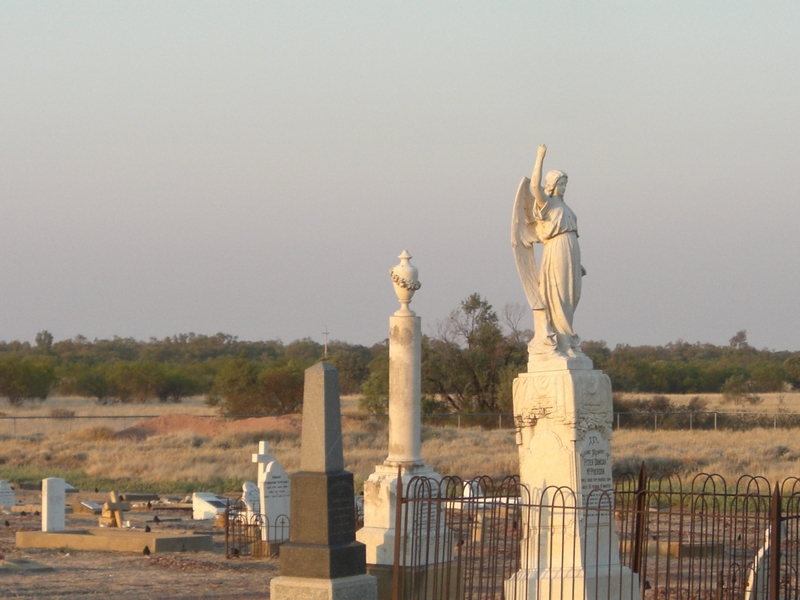 The family had lived in a small town in Outback Queensland. Donna had discovered that her great grandmother and Agnes were buried in a family plot in that small town. She was now planning to go out there to find their graves. Alice had told Donna all about her session with me on the drive back to her nursing home, and Donna had then diligently visited the State Archives to see what she could learn of her family history. She had found the information weeks before her grandmother passed away, and Donna told me it had given her grandmother much peace. 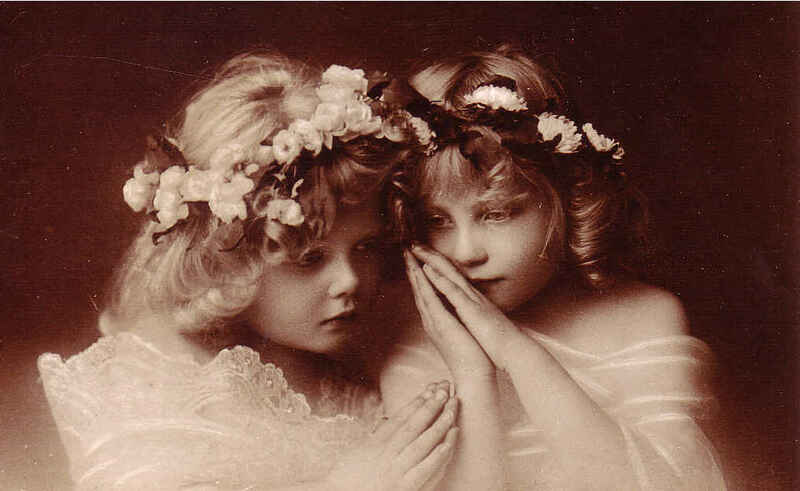 Alice’s family had never spoken of Agnes, and Alice had grown up believing that Agnes truly was imaginary. 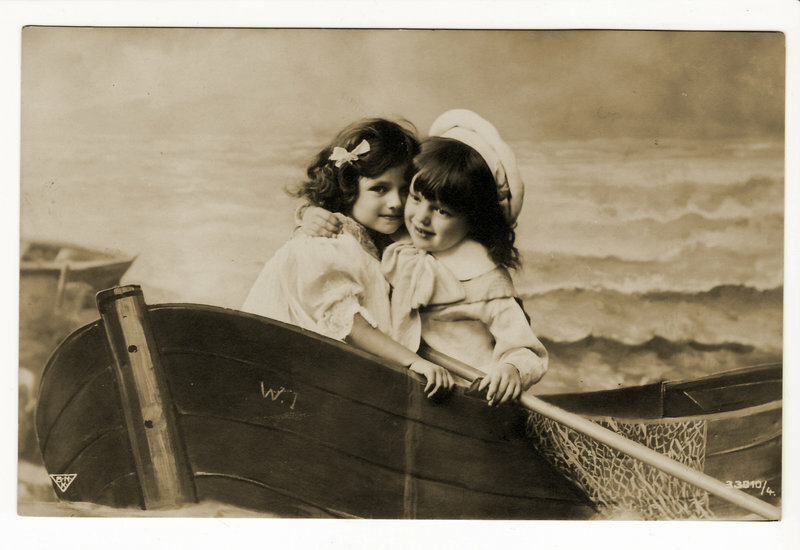 She had learned from a very early age not to speak of Agnes, but had maintained that love and connection with her twin sister for her whole life. We both cried, and hugged, and as she left, Donna withdrew another small envelope from her bag. “This is for you, from Gran,” she said. I opened it after she left. In a spidery hand, Alice had written me a short note. In part, it said Thank you for restoring the missing part of my heart. Last night I lay in bed and thought of my own beautiful grandparents who have now all passed away, and some dear friends whose lives ended too early. I felt the weight of all their love. And it made me smile to think of Alice and Agnes, together again, and catching up on a lifetime’s worth of being apart. Love truly is a force powerful beyond all we can imagine. This entry was posted in Family, Living as a Psychic, Love and tagged bond of love, eternal life, eternal love, family, family history, family records, family tree, genealogy, Guides and Angels, imaginary friends, love, psychic connection, psychic reading, sisters, twins by Cauldrons and Cupcakes. Bookmark the permalink. What a beautiful story. Love last forever. I love the way you write, your words always move me….. you’re a very unique woman, I’m so blessed to have found your blog…. A beautiful story Nicole. How wonderful that this lovely lady was able to find out about that missing piece of her soul before she passed on. Thank you for sharing. I am deeply touched once again by your sharing this with all of us. Thank you, Nicole. I am so happy that your knowingness was appreciated and validated by alice and that she was able to go in peace to agnes. How truly beautiful our life is! I’m so glad that I followed my intuition to see what the Word Press community is up to because your post warms my heart. Thanks for this inspiring and tender story. What an incredible story. Thank you for sharing, Nicole.